Plant type: Bulb. Small, tunicated round bulbs; winter-growing, summer-dormant. Variety: Several species or hybrids are available. 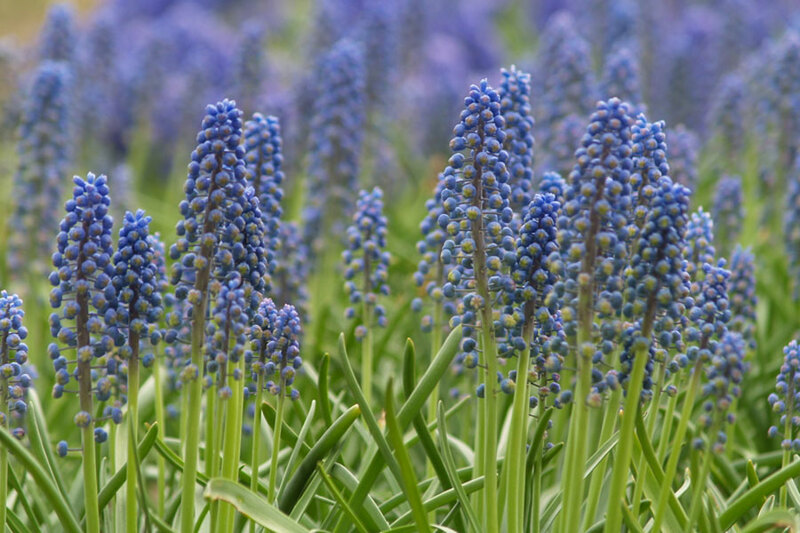 Note: Small, tunicated round bulbs; winter-growing, summer-dormant. 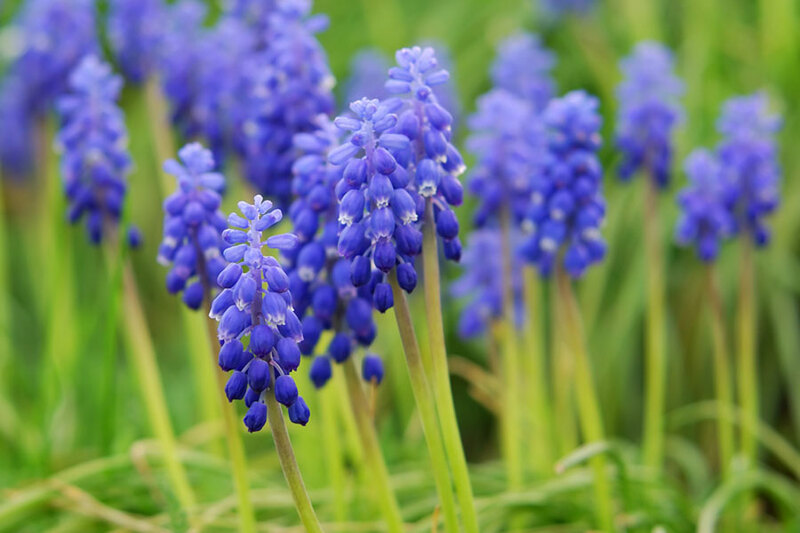 Dense, slender spikes of small, bell-shaped flowers are borne along stems 15-25cm tall. 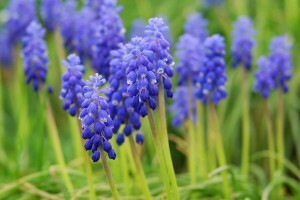 They are usually deep blue but may be mauve, purple or white, depending on species or hybrid. Most are pleasantly scented. Foliage is grass-like, narrow and fleshy. 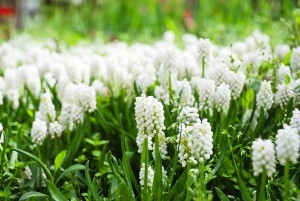 Plant the bulbs only in autumn, about 5cm deep and 5cm apart. In pots they should be spaced closer. Soil requirements: Rich, well-drained and adequately composted soil. 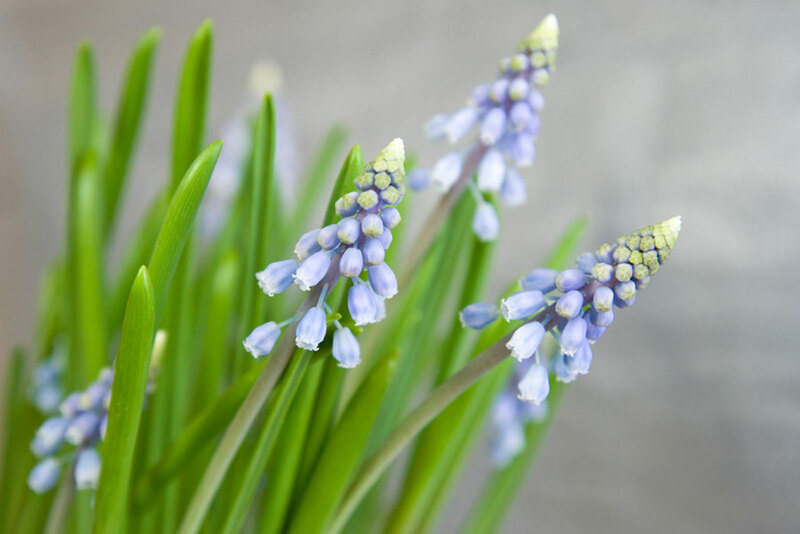 Propogation: If muscari is kept constantly moist at root level, they will not only flower profusely but will multiply naturally by forming offsets. 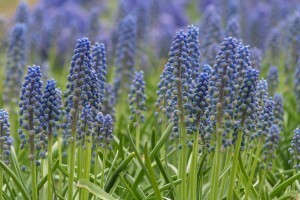 Other notes: Grape hyacinths may be left in the same spot for three years or until they become over-crowded. Lift the bulbs at the onset of dormany in early summer and store them until the next autumn.